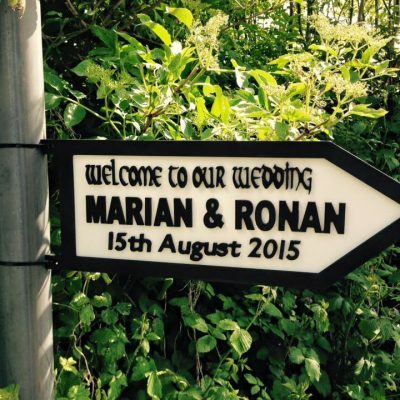 Personalise your Wedding in true Irish Style!!! 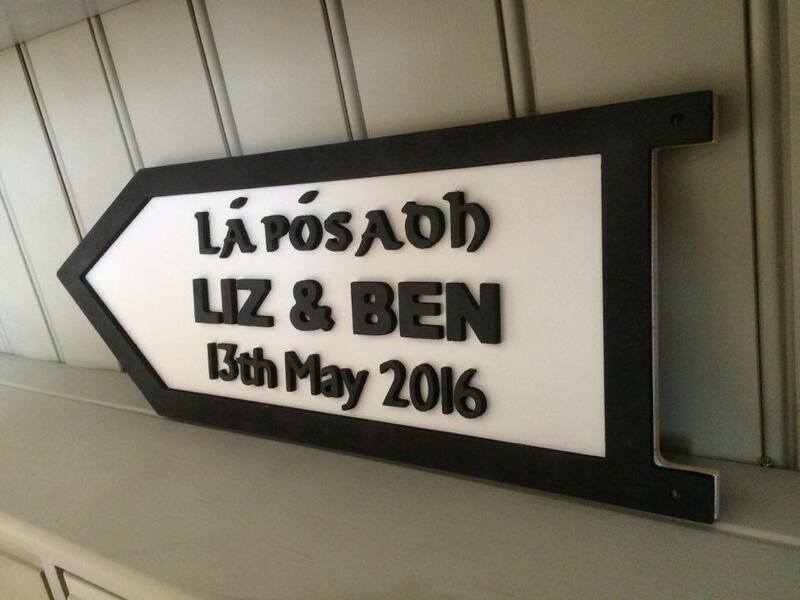 With one of our beautiful painted road signs. 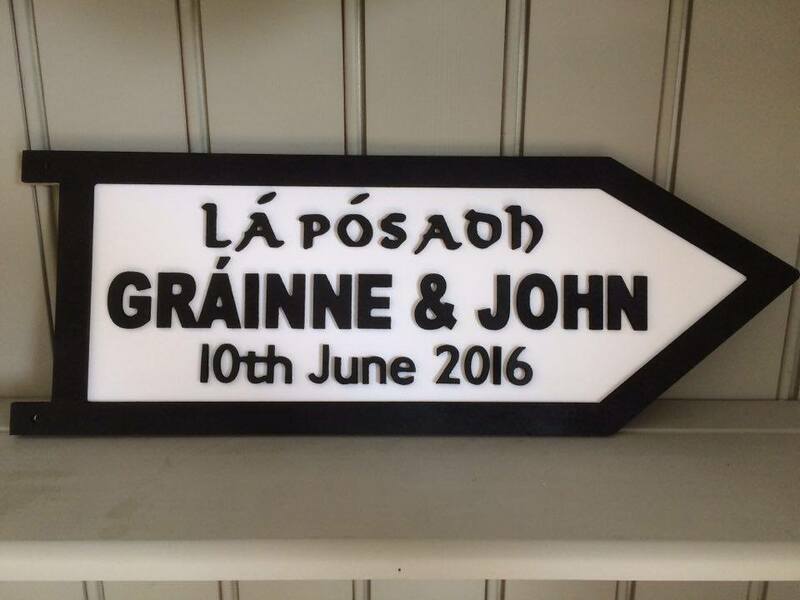 Signs are 100% waterproof to cater to our Irish weather. 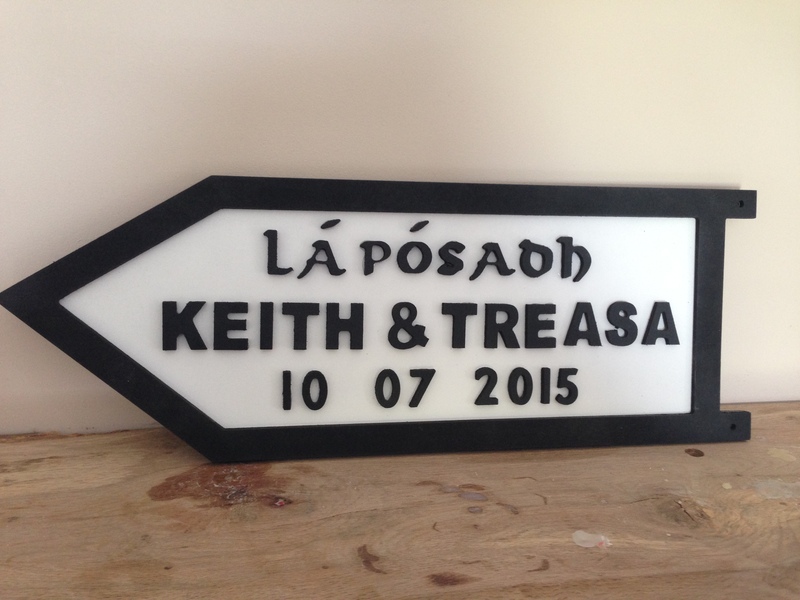 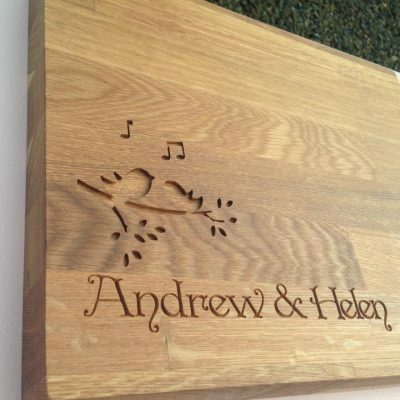 A lovely keepsake after the big day which could be hung on your wall or in your garden.